I have been told in the past and in resent days, that I have been an inspiration to the children at school and to other people in general. I have always found this interesting because I feel that these people and the children inspire me to create art and images instead of the other way around. One example is when I drew the staff at my school as cartoon characters. It started one year around Christmas when we have our Christmas concert and staff dinner. Always after the concert, we go out for dinner and we exchange gifts, such as a Chris Kringle. I wanted to liven things up and instead of giving Christmas cards, I decided to create my own with the staff members as a character from a movie. The staff members were surprised; to say the least and they loved it, with a couple of exceptions on some humorous levels. 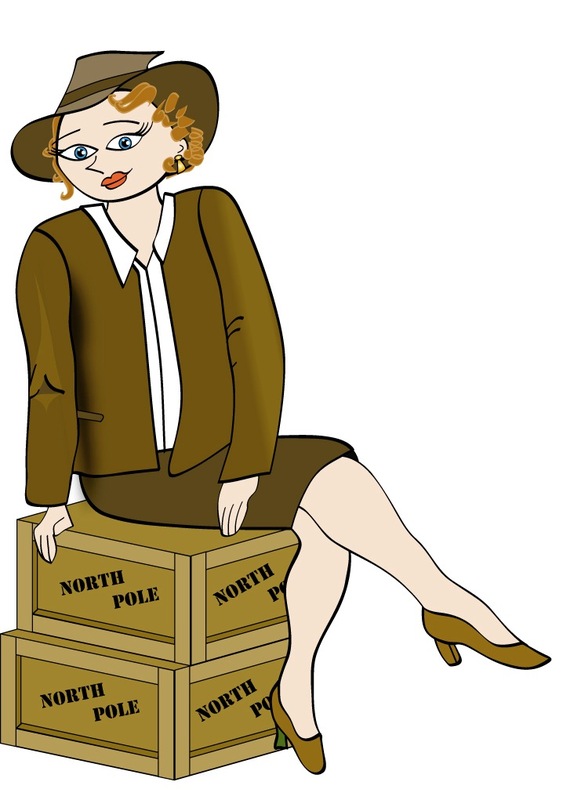 The first character was modeled after the Ingrid Bergman character from ‘Casablanca’, Ilsa Lund. I choose this actress for this specific staff member because she reminded me of the classic beauty of Ingrid Bergman and the toughness of Ilsa Lund, two traits the staff possesses. I made her very cartoon like and less realistic to emphases that this is a caricature. She and the staff loved the character and I hope enjoy it as well. Another character was modeled after Nichelle Nichols portrait of Nyota Uhura from the original Star Trek in the 1960’s. I choose this character for the staff member because Uhura is a strong, independent, beautiful woman surrounded by strong men, very similar to the staff member. She is also the communications officer and the one thing this staff member can do is communicate; with staff, parents and children alike. One other aspect that she and others noticed is that I made her hair up almost like a beehive from the time period. The staff member likes to change-up her hairstyle and she asked if she should go with a hive next. I said it was up to her but something’s are probably kept in the past. 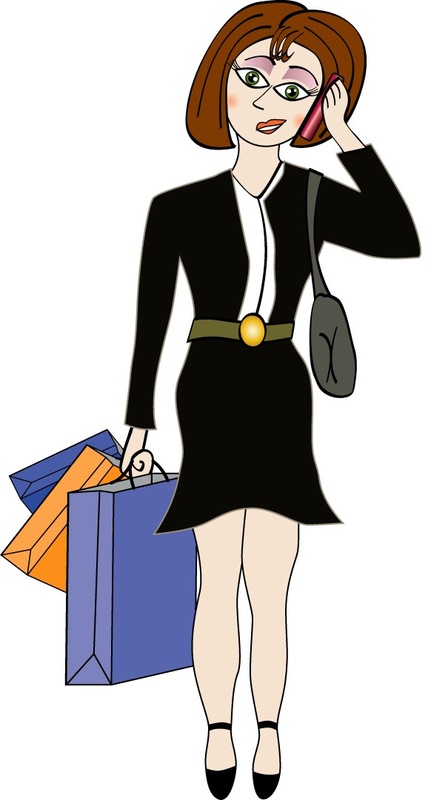 The next character is modeled after Alicia Silverstone and her portal of Cher Horowitz from the 1995 movie calledClueless. The character is a popular girl in high school but she is a little superficial, however the staff person is nothing like her. So why did I choose this character? Well the character reminded me of the eternal youth inside all of us and this characteristic is in abundance with the staff person. She is always smiling and wants the best for others and she has this youthful presence about her. She always reminded me of a high school student and so I drew her as such. She and the other staff enjoyed this character and I hope you do too. The next character is modeled after Chiaki Kuriyama and her portal of Gogo Yubari from the 2003 movie called Kill Bill. The character is a sadistic 17-year-old Japanese girl who is an associate and body-guard of O-Ren Ishii. She is skilled at killing people and in the art of wushu using a ball and chain whip. She is the top assassin of O-Ren and has a memorable battle with Beatrix. So why did I choose this character? Well the character is nothing like the staff person. She is Korean who is a quite, reserved, friendly person, the total opposite of the character I drew. That is one of the reasons why I did draw her as that character. I wanted to impart some power into the person that she is like the character. You see, Gogo Yubari looks like a quite, sweet little schoolgirl but watch out. You never know what strength of character she really has is until you get to know her. I told that this was a good thing that I see greatness within her. The other reason has to do with her room partner. You will have to wait until next week to see her. Well she enjoyed this character and the reasoning behind it. I hope you enjoy Gogo Yubari. The next character is modeled after Uma Thurman and her portrayal of Beatrix Kiddo from the 2003 movie called Kill Bill. The character was a member of the “Deadly Viper Assassination Squad”. She was known as “Black Mamba”, but also “The Bride”. A trained assassin she wanted out when she got pregnant, however the rest of the squad tried their best to kill her. Yet nothing could stop this strong and spirited woman from getting her revenge on every member of the “Deadly Viper Assassination Squad”. This is precisely why I chose this character for the staff member. Not the assassin part, but the strong independent woman. Beatrix is a rare powerful female character in film and that is exactly what I wanted to convey with the staff member. She is strong, independent and if I dare say opinionated and willing to stand by her beliefs. The other reason was because her room partner is the woman I drew as Gogo Yubari. If you have seen the movie you know that Gogo and Beatrix have a memorable battle. This is not the case with the staff members. They are great partners and good friends. It just seemed like these two are such an odd pair in the movie, total opposites. The two staff members are the same. They are opposites yet they work great together, finishing each other’s sentences and knowing what the other person is thinking. The perfect team. Well she enjoyed this character and she loved the reasoning/inspiration behind it. I hope you enjoy Beatrix Kiddo. The staff member is somewhat similar to the character I modeled her after. Not the infamous warrior but a warrior in her own right. Being a mother of girls it sometimes feels that you are fighting the good fight, righting the wrongs of the world. This staff member also reminded me of Xena. It does not hurt that she is a tall woman and she kind of looks like a warrior character. The character is a very strong role model for girls and women. It illustrates that women can be strong and fierce individuals, but still have a feminine side. The staff member has all these traits and more. She is a great mother and strong woman to boot. If you ever want someone on your side she is the one you can count on. She really enjoyed the caricature and the inspiration behind it, as did the staff and her family. I hope you enjoy Xena, Warrior Princess. The next character is modeled after Meryl Streep and her portrayal of Miranda Priestly from the 2006 film Devil Wears Prada. She is the formidable and feared editor-in-chief of a magazine call Runway. Everyone fears her at the magazine as in the fashion world. Her power is unmatched, where in a review of a designer’s pre-viewing she forced him to redesign his entire collection with the pressing of her lips. She is the ultimate boss knowing everything about her business. Well the boss or director at the centre is nothing like this character, but she is the boss. Therefore, I drew her as the ultimate boss, Miranda Priestly. She may be tough but she is fair and expects the best from everyone. Truthfully, what is wrong with that? The director did not hate the character, but was curious about why I chose her. I told her what I mentioned above but I found out that it wasn’t the character that she was upset about, but the fact that I used an older woman to model her after. Also, she asked why I did not draw her thinner than I did. I thought I did, but she wanted to be drawn thin like I did for Uma Thurman’s character Beatrix Kiddo. I did remind her that this is just a caricature of her not a realistic version. I did learn something that day. I always knew that you always drew women caricatures thinner than they are but I also learned that you have to draw them younger too. Despite these little criticisms she did like the caricature, as did the rest of the staff. I hope you enjoy my caricature of the staff member as Miranda Priestly. The next character is modeled after Sylvester Stallone and his portrayal of Robert “Rocky” Balboa from the movie Rocky released in 1976. An ordinary Joe, that works hard and peruses his dreams of being a boxer. He struggles and works hard and he achieves his goal and become Heavy Weight Champion of the World. The staff member is somewhat similar to the character I modeled him after. For one thing he is Italian and I thought “The Italian Stallion” fits him perfectly. He is a fighter but fights for his family and friend. And this character of Rocky is trustworthy and loyal, just like the staff member. He was my Chris Kringle that year and I put a bit more effort into the character. That is why I added the bigger chin like a boxer and if you look at the belt around his waist you will read “The Italian Stallion”. He really enjoyed the caricature, as did the staff. I hope you enjoy my caricature of the staff member as Robert “Rocky” Balboa. The next character is modeled after Al Pacino and his portrayal of Michael Corleone from the Godfather movie, released in 1972. Born into a Sicilian family and fought in the Second World War, Michael is part of a family who is an important group or family in the Italian organized crime faction, aka Mafia, of the 1940s & 50s. Michael is the youngest of the three brothers. His father is the head of the organization but ever since his father got shot the power went to his older brother Sonny. However, because of his father failing health, Sonny’s death and his other brother’s inability to run the family, Michael takes over the family business. Upon the death of his father, Michael uses military precision to assassinate the other crime family’s leaders, to reign supreme as the sole Don or Godfather. If you haven’t guessed it yet, this is me. I wanted to portray myself in the light of something I believe in. No not organized crime, but family. Michael and many of these people see that the ties of blood and family are eternal. My family, being Maltese (very similar to Sicilian), have these values in common, rang true to me. This was made more apparent to me that year because a beautiful miracle blessed me. I became an uncle for the first time to a beautiful niece. My sister and brother-in-law honored me when they asked if I could be the godfather. I was thrilled for such an honor and I decided to commemorate the moment with this caricature of myself as the most recognized Godfather. The staff really enjoyed the caricature as part of the final image (you can see that soon). 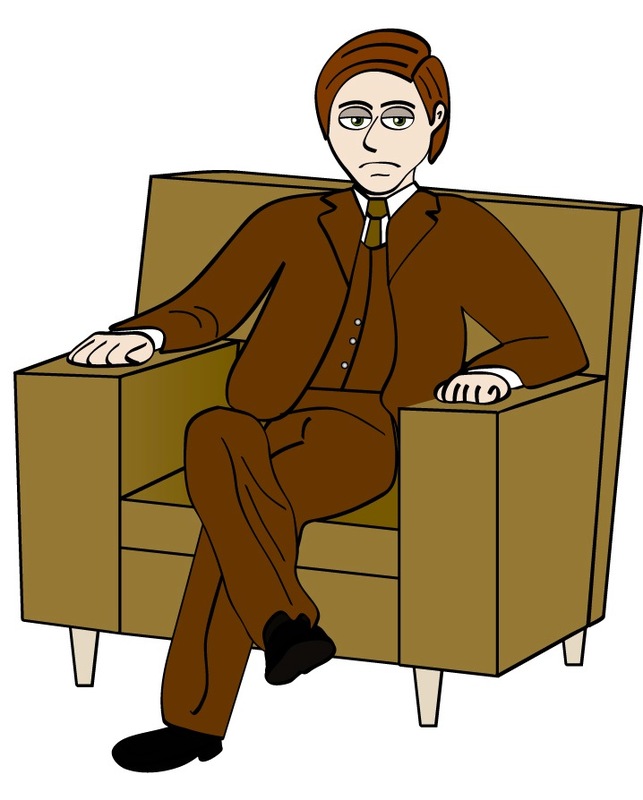 I hope you enjoy my caricature of me as Michael Corleone, The Godfather. In the past few weeks I have shown you the different staff as a caricature I drew. Each got a Christmas card with their caricature, however I also gave them a large portrait with all the staff caricatures. This was my first such venture therefore, I wanted to make it simple and just show each staff member’s caricature. I thought this way everyone would be able to have everyone else’s caricature and my own. When I presented this final portrait to everyone, their joy was brought to a climax. Their reaction gave me a tremendous feeling of delight. I had brought a little joy into everyone’s life that night, with something as simple as a cartoon caricature. That was the best present I received that night. 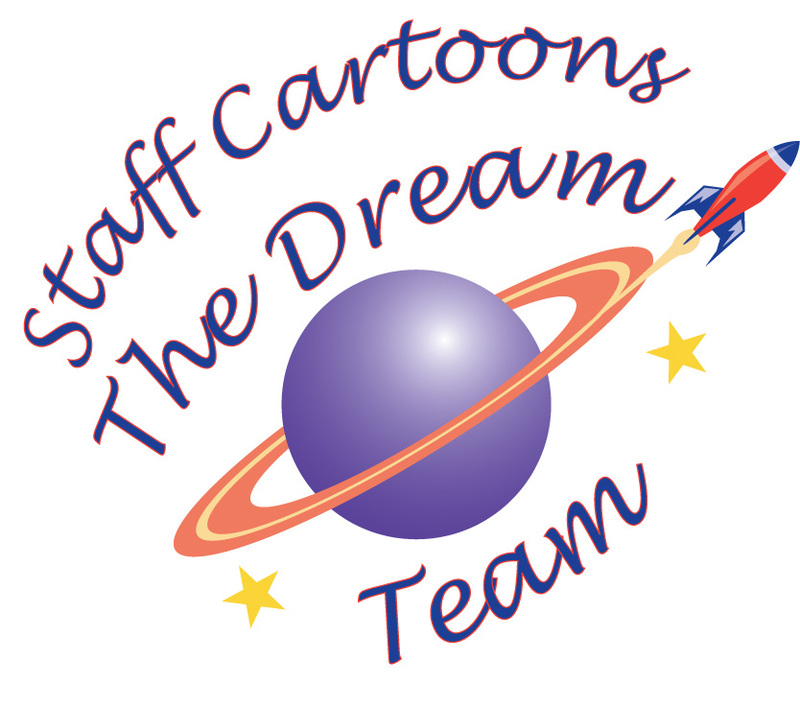 I hope you have enjoyed my presentation of Art Inspiration: Staff Cartoons The Dream Team and the final portrait entitled, “The Dream Team”.